He Jingtang, renowned architect and professor at the South China University of Technology, has overseen the design of more than 100 structures — from breathtaking mausoleums to Olympic venues. 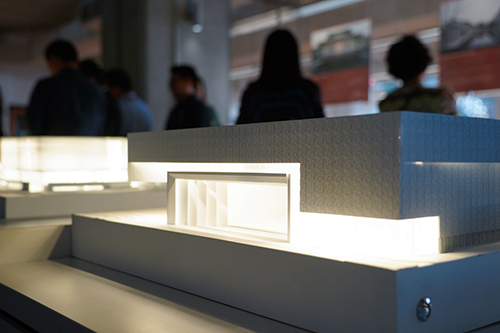 And for the next two months, many of those designs will be right here in Berkeley, lighting up the center of the Environmental Design Library in a new exhibit boasting intricate 3-D models and interactive media. 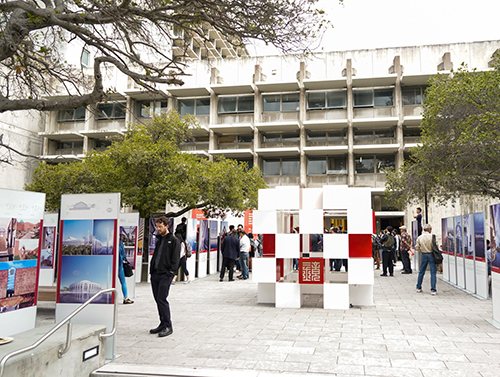 Top to bottom: Left to right: Professor He speaks at the introduction outside of Wurster Hall; visitors look at the displays outside. 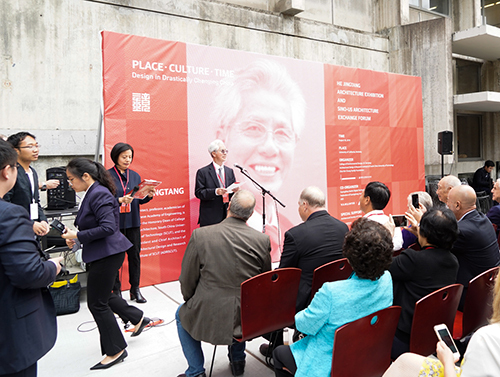 Open to the public until Oct. 21, the exhibit uses video, photography, and lighted replicas to highlight the best of He’s work — including the stunning China Pavilion and the instantly inspiring Da Chang Muslim Cultural Center. Another striking moment in the exhibit is the Wenchuan Earthquake Epicenter Memorial Hall — a tribute to the people who lost their lives in the 2008 disaster. The structure was built with local stones and features long, cascading steps that resemble the layers of the Earth. 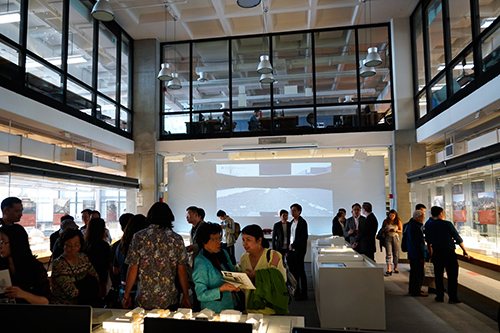 Top to bottom: Left to right: A model of a building designed by He is part of the exhibit; people gather in the transformed Environmental Design Library. 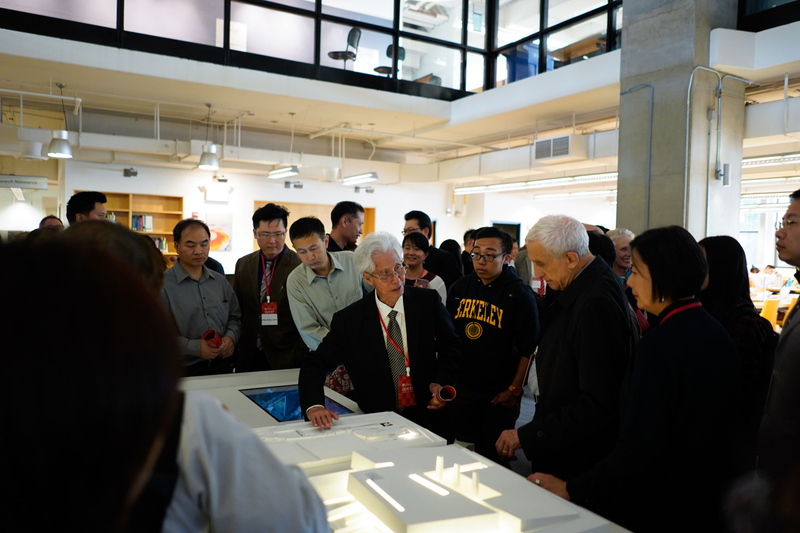 Young Choi, a senior designer at the global design firm HOK, said the exhibit was “really beautifully done.” The opening ceremony for the exhibit attracted architects from the Bay Area and beyond.